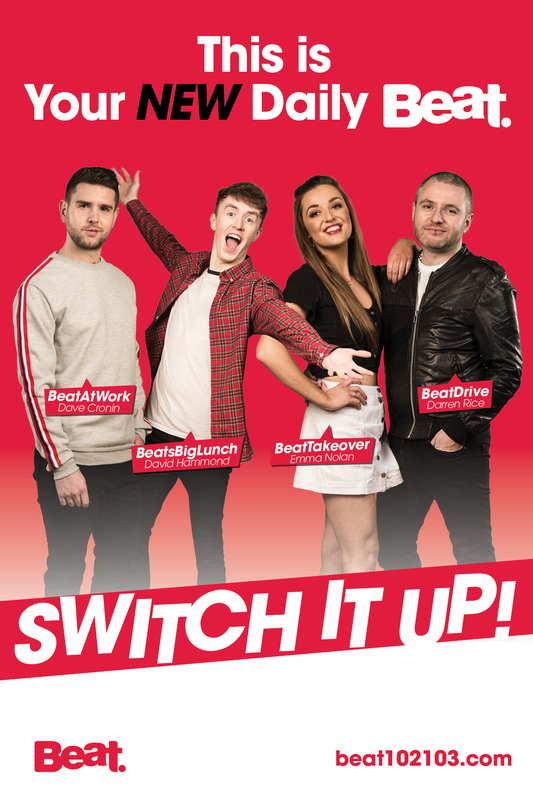 Top 7@7 and Takeover presenter David Hammond is the new voice of Beat’s Big Lunch, taking up the reins from Dave Cronin, who moves to Beat at Work AM following a stint on the lunchtime slot. In addition, Darren Rice takes on the Beat Drive slot. Emma Nolan, who presented The Takeover from 2015-2017, returns with a new Takeover format for 2019, while taking up an additional editorial role as Multi-Platform Content Coordinator. Speaking on her return, Emma says: “The romance and companionship associated with night-time radio remains healthy in the digital age. “Whether you’re passionate about music, a late-night grafter or just going for a spin with your mates, the Takeover is set to bring engaging content that’s relevant to you – the people of the South East”, she says. Weekends also see a change of guard as Shonagh Lyons becomes the new presenter on Beat’s Big Saturday. Meanwhile, Waterford’s Paula Phelan takes over from Shonagh on Sunday afternoons from 4-6pm. Both presenters are graduates of the Beat/WLR/WIT Broadcast Course. Beat has also announced a new addition to the station’s creative team in 2019. UK radio executive David Lloyd will be working with the Beat programming team on strategy and presenter development this year. David has held key management and programming roles in several UK stations, including LBC, the Galaxy Network, the BBC and the Orion Network. He has also served as Head of Programming at the UK Radio Authority. Gabrielle Cummins is the C.E.O. and Programme Director of Beat. She says “We’re constantly hearing that radio needs to adapt and change to survive. Beat has been constantly evolving ever since it launched as Ireland’s first regional radio station back in July 2003. “As we head towards our sweet 16th birthday, I’m confident the exciting changes we’ve introduced, coupled with plans that will undoubtedly further engage our super loyal audience, all point towards 2019 being one of the most successful years to date for this multi award winning, market leading station. We always listen to input from our valued listeners & clients, so all the team here has been working hard to exceed expectations. We’re all really looking forward to hearing feedback about our exciting new line up and fresh new sound to mark this latest chapter in the successful life of brand Beat”.